In fact, what we know as Malpaís is a tourist destination conformed not only by Malpaís but also by Playa Carmen and Santa Teresa. 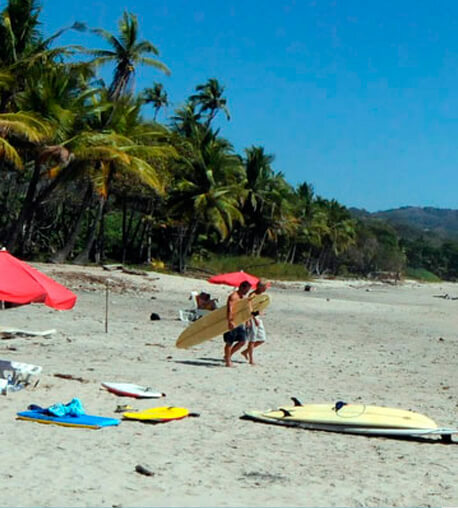 This complex of beaches takes refuge in the most remote tip of the Nicoya Peninsula, and each season acquires more attractive. It is a meeting point for foreigners who live in the country for a while, due to its little commercial movement and its friendly village atmosphere. Apparently, it’s a place for them to escape from reality. Its rocky beaches are chosen precisely because they are different from most of the country, and because of their excellent waves for surfing. If you are interested in avoiding large crowds, this is the perfect place for a getaway.